PLANARVIDEO – 2000 | JONAH BRUCKER-COHEN, PH.D. PLANARVIDEO – 2000 – JONAH BRUCKER-COHEN, PH.D.
2D video in 3D planar space. 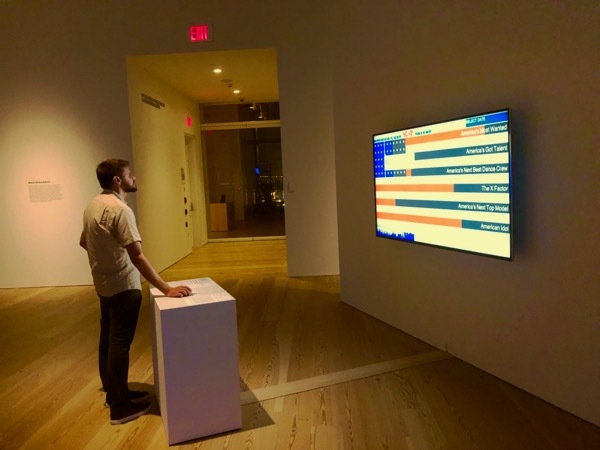 PlanarVideo was a real-time video system that allowed for a live video stream to exist in a 3D / VRML environment. PlanarVideo also existed as a real-time QTVR engine. 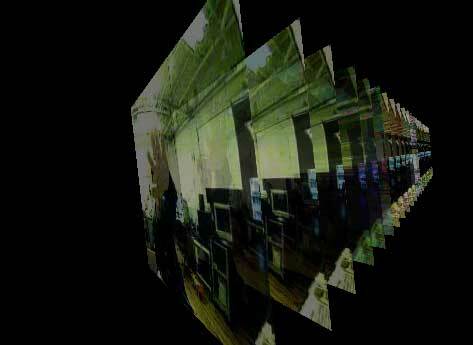 Instead of planes, the images were arranged inside a 3D cylinder and streamed from a rotating camera. The user could then view a live 3D scene in VRML that updated on the fly.